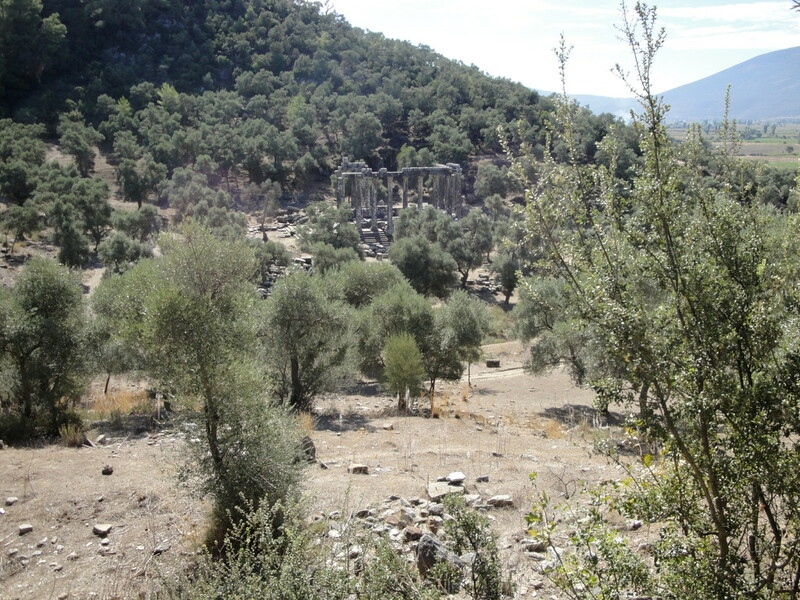 You go via Bodrum to Milas and from there about another 10 km in direction of Söke/Izmir . 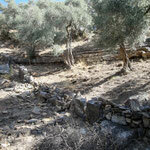 Don`t miss the sign-post to the right leading into an olive grove. 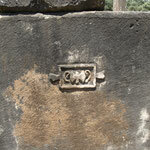 Turn to the right and park your car or go on another 50 m until shortly before the temple. 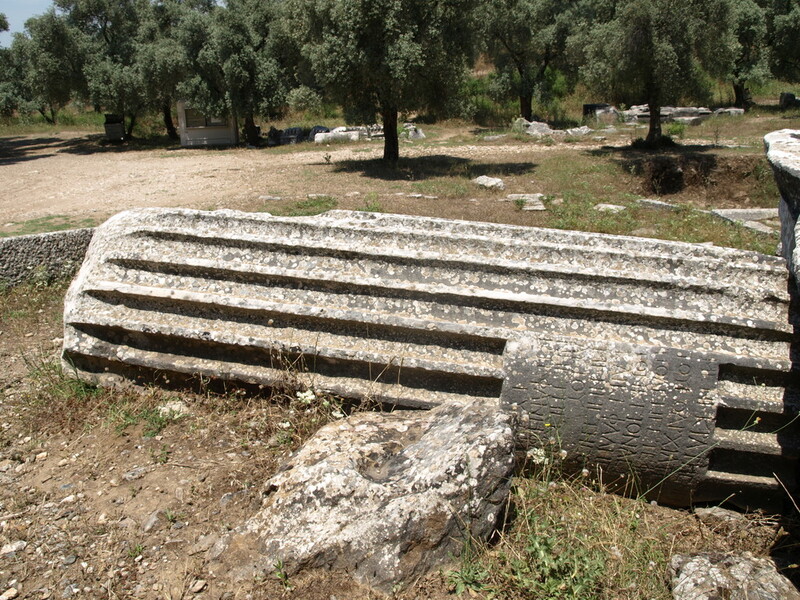 The pittoresque temple area is one of the best preserved in Asia Minor. 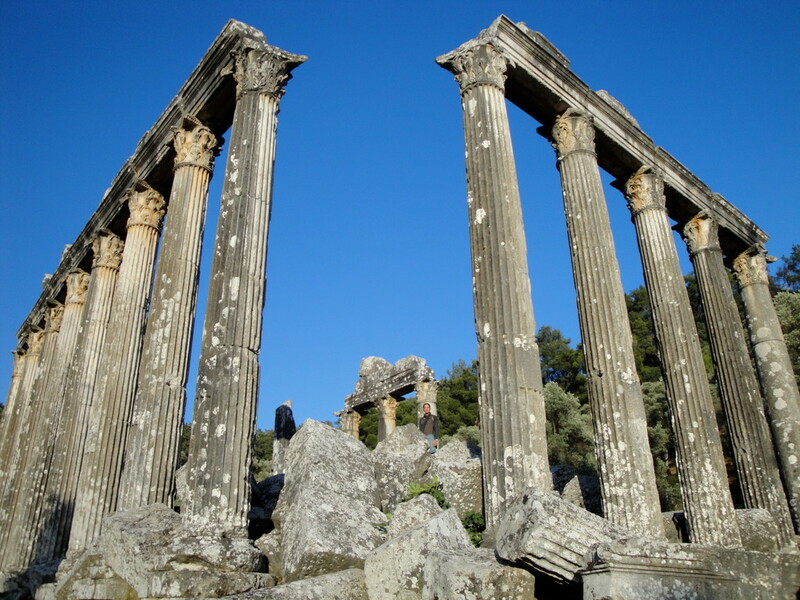 The temple of Zeus a circumference of 14,4 x 26,8 m and is supposed to be built during the time of Hadrian (117 - 138 A.C.). 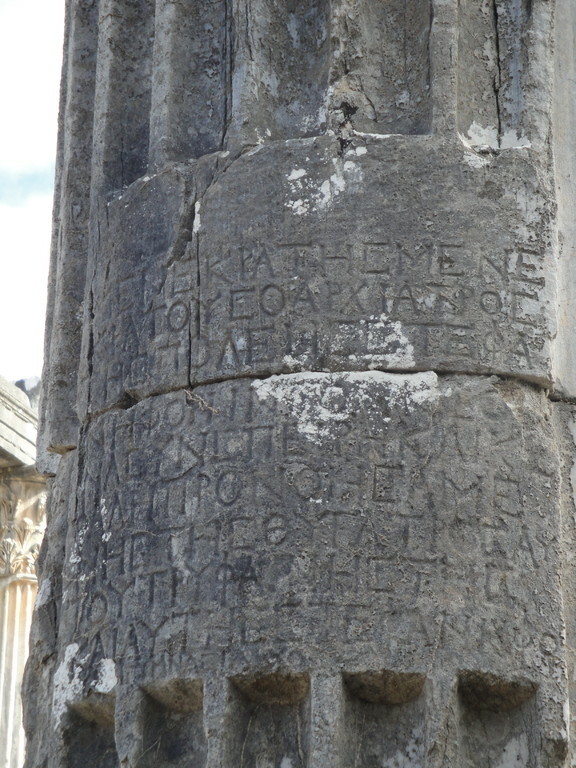 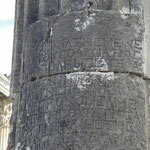 The columns were dorated by several citizens of the town and they show their names. 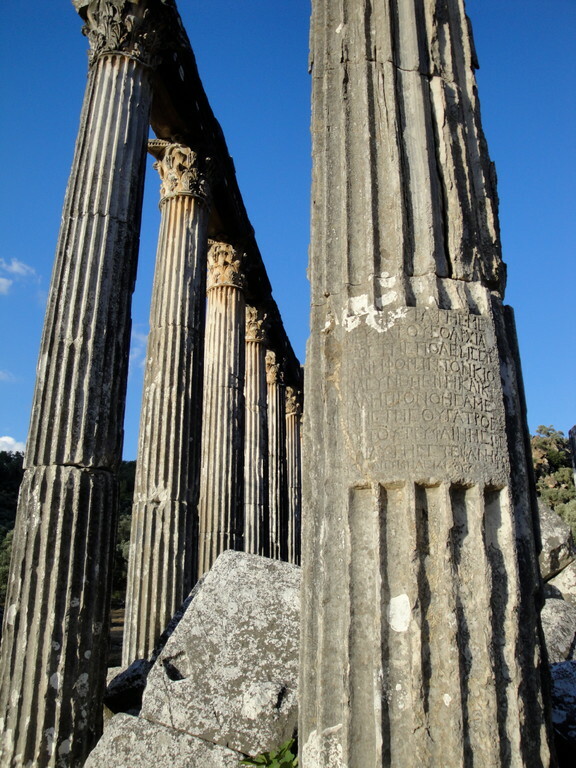 6 columns on one side of the base course on the other one, partly with massive entabluture make you guess the former beauty of the holy district. 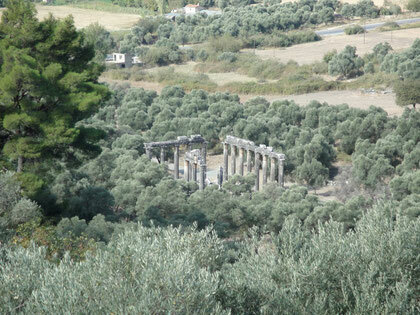 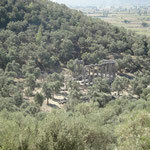 The sight of the temple amidst the olive grove is unforgettable! 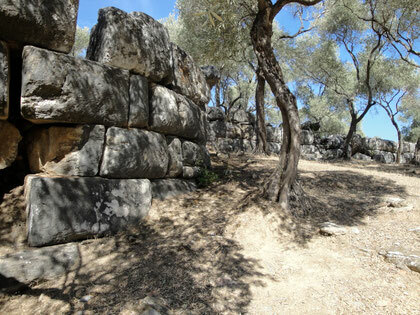 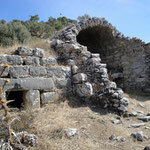 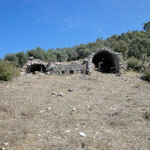 In the north on the mountain you will find relics of a theatre as well as parts of the town wall of Euromos. 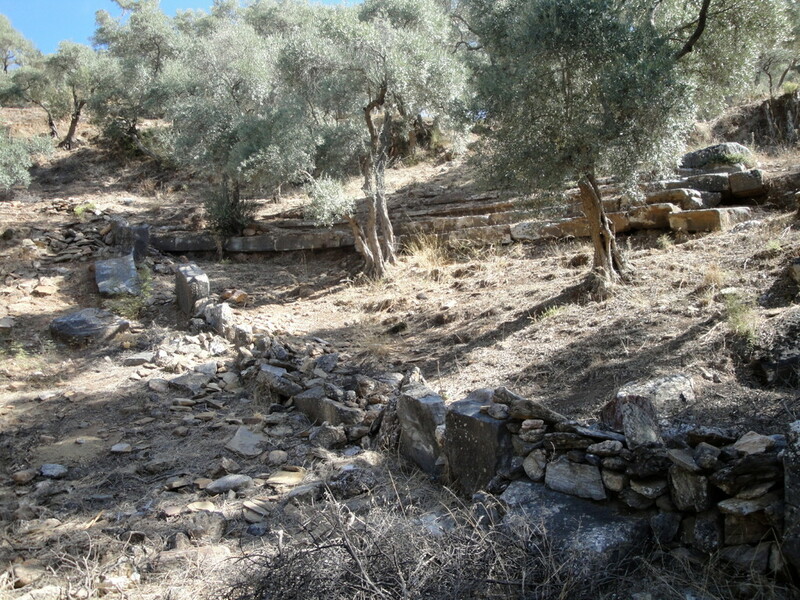 Further north of the entrance to the temple relics of the Agora are still visible and south of the entrance behind the necropolis with some stone coffins the ruins of a small Byzantine church. 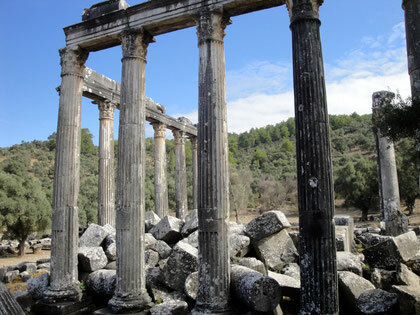 There are not many relics to be seen, however the singularity of this place as it is embedded in the attractive surroundings ist worth seeing! 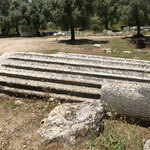 Just sit down on one of the many stones which will make it possible to reerect the temple one day. 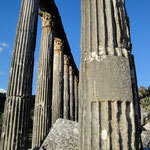 Let the building and its surrounding have an effect on you! 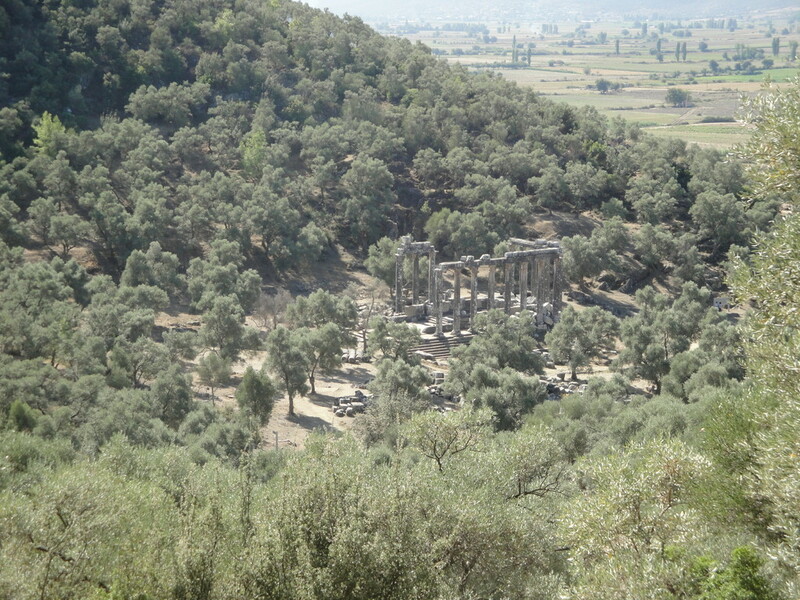 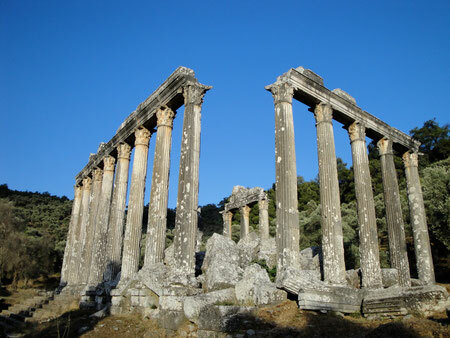 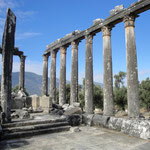 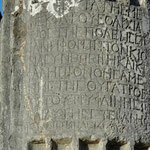 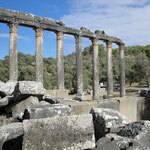 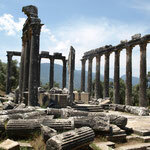 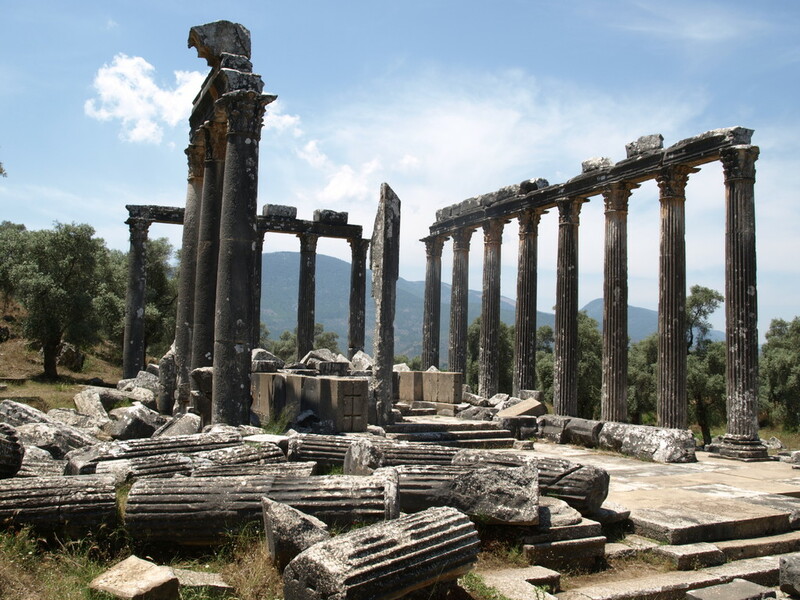 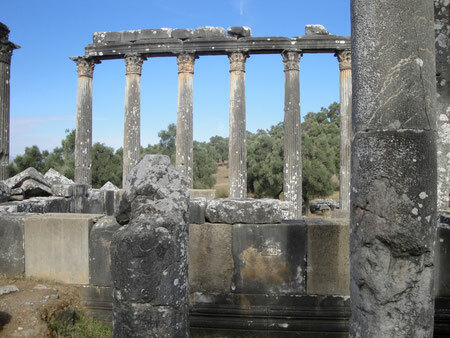 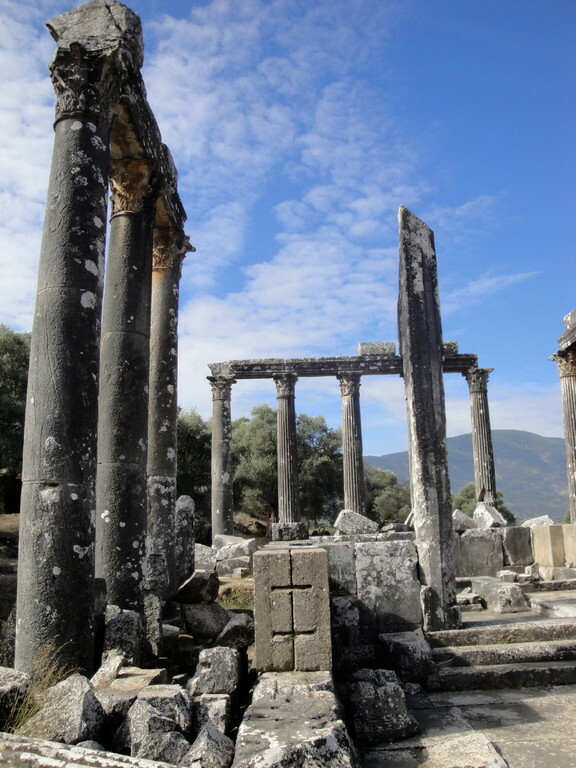 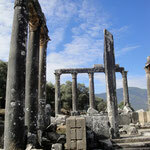 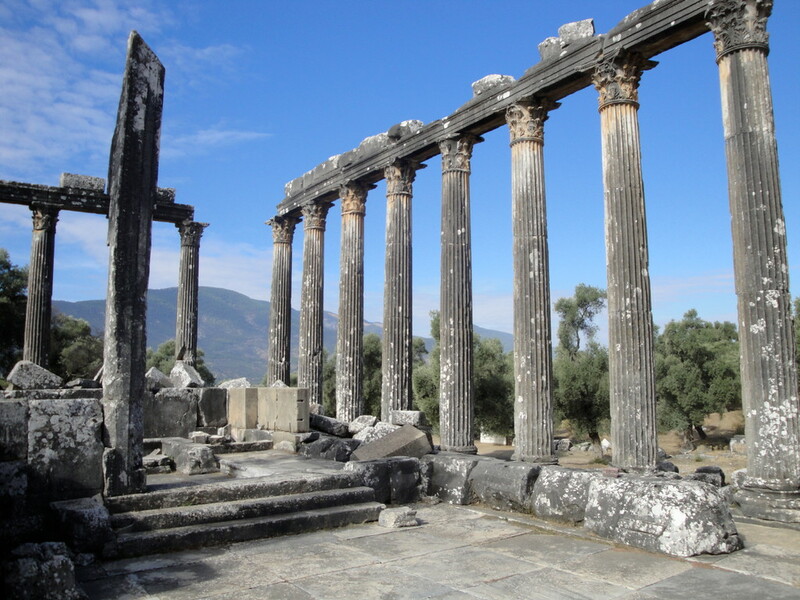 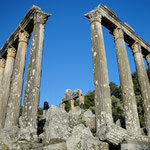 In antiquity Euromos was after Mylasa (Milas) the most important town of the region. 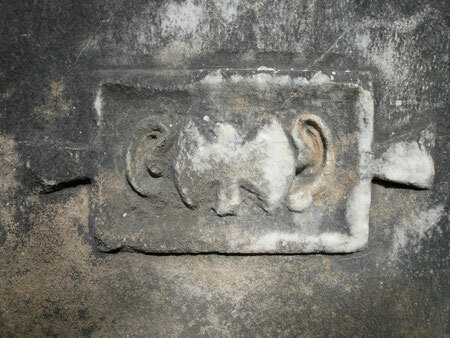 It was closely connected with Mylasa in economy and politics. 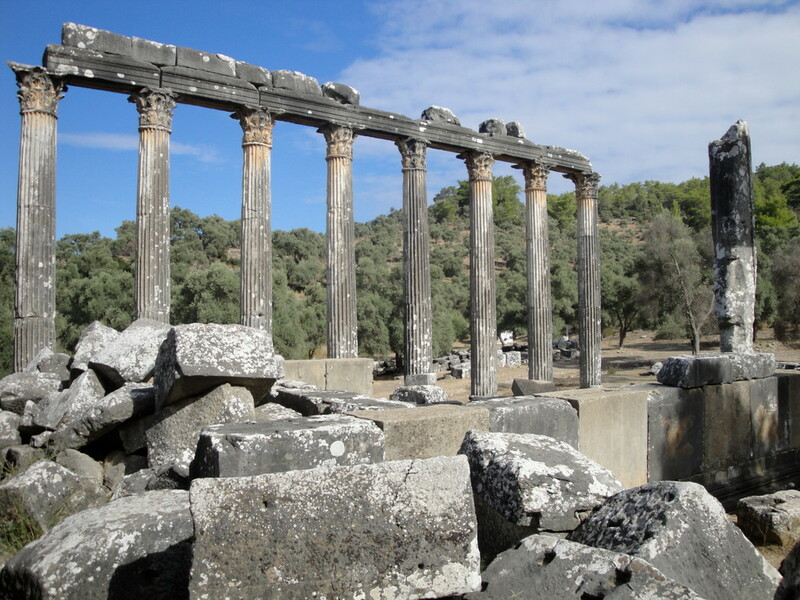 Mausolos II., famous for the Wonder of the World in antiquity, the mousoleum of Halikarnassos (Bodrum) is said to have taken part in an intensive colonization of Euromos with his persistent politics of Hellenism. 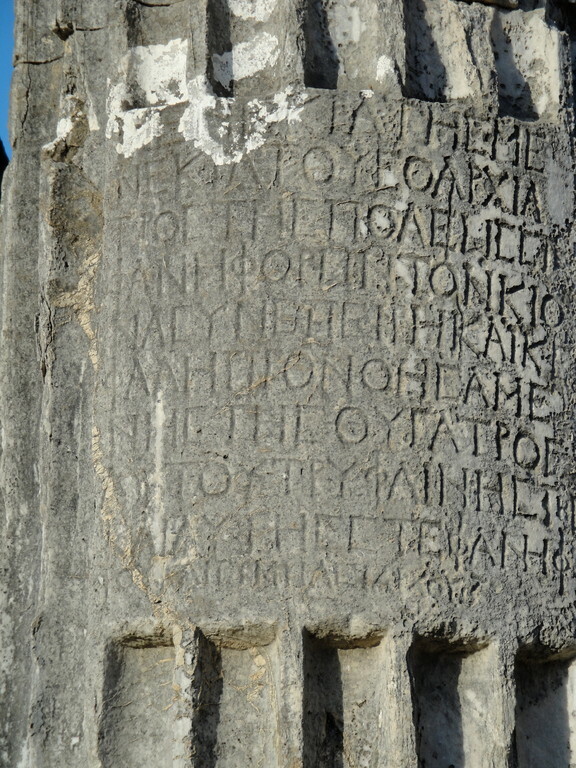 In the 5th century B.C. 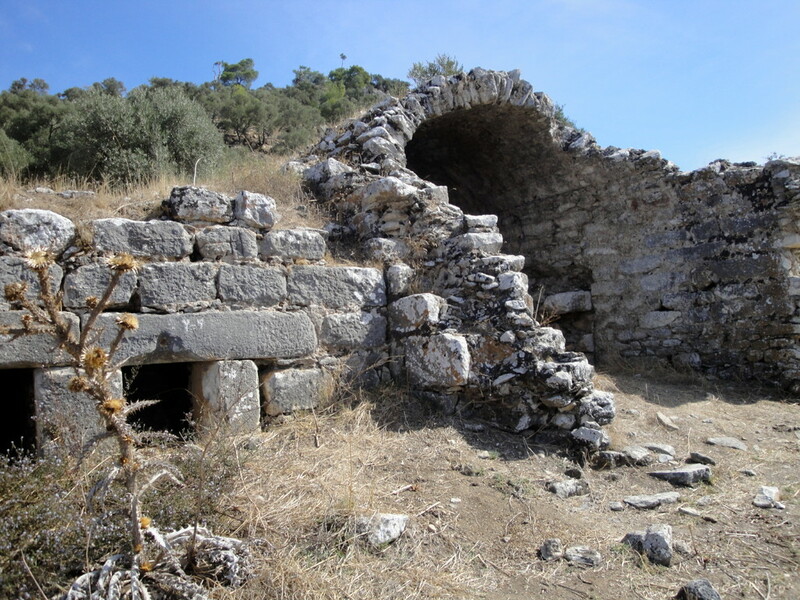 the town of Euromos was named "Cyramos " or "Hyramos ". 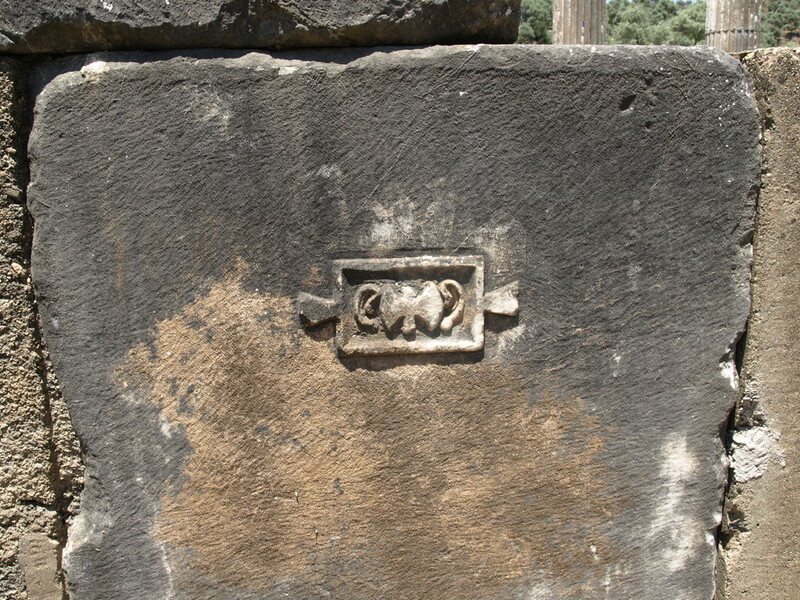 Labranda`s stonemasons, who were working here, when the temple was erected, proudly left behind their "master`s mark " at the southern side of the temple`s foundation. 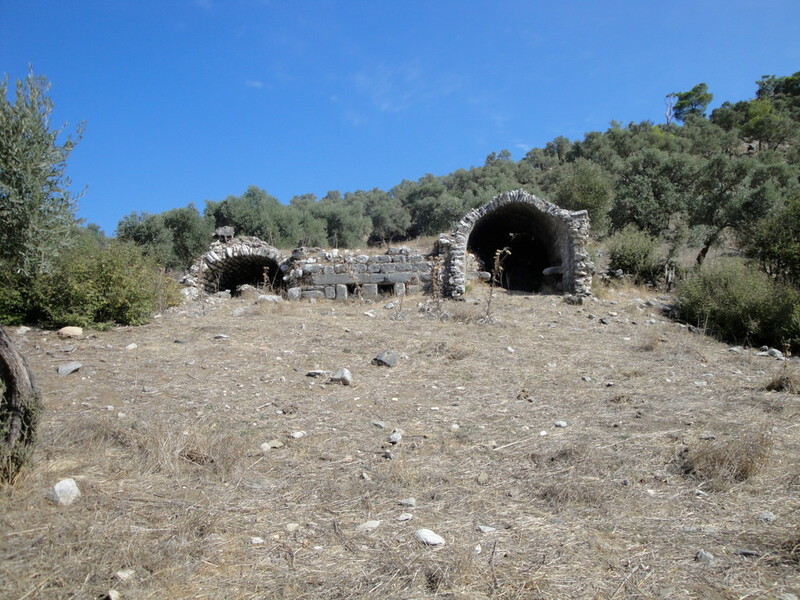 And by the way: If you are interested in botany, you may discover a lot of orchids in the area of the former town Euromos!